Ever wondered what all the fuss was about with foreign cinema? Perhaps you want to check some foreign films out but you don’t know quite where to start? Should you go to Eastern Europe? France? Japan? Wonder no more as the Filmoria team take you on a guide through their picks of the best films foreign cinema has to offer. 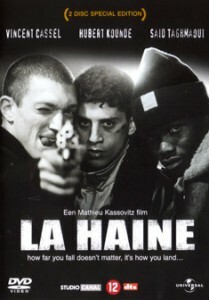 Check out my contributions on [REC] and La Haine and other Filmoria writers' recommendations here.